2017 Subaru Outback: What's New? If you're in the market for a compact SUV that will handle all your outdoor adventures with ease, then consider choosing the 2017 Subaru Outback in Springfield, Missouri as your next new wagon! Whether you're heading down a busy city street or navigating through winding dirt roads, the Outback makes the perfect travel companion. For the current model year, the vehicle gets several notable upgrades that are definitely worth mentioning, including a new Touring trim that offers ritzier styling cues and features like reverse automatic braking, which has been added to the optional Eyesight Driver Assist Technology package. On top of these enhancements, every new Outback also comes with sporty alloys. Find out more about this well-equipped vehicle by continuing to read our 2017 Subaru Outback review below! 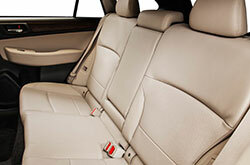 The Outback is available in 2.5i, 2.5i Premium, 2.5i Limited, 2.5i Touring, 3.6R Limited and 3.6R trim levels. The exterior is dressed with 17- and 18-inch wheels, depending on the trim. The 2.5i Premium adds rear privacy glass, heated exterior mirrors, foglights and other high-end amenities. However, aside from all this great gear, numerous 2017 Subaru Outback reviews note that one of the biggest perks of owning this compact SUV is its standard all-wheel drive configuration that offers drivers exceptional versatility. Staying connected in the new Outback is easy too, thanks to its Bluetooth phone and audio connectivity, USB port and smartphone-integration apps. There's also Subaru's "Starlink" 6.2-inch touchscreen and four-speaker sound system, which help enhance your daily drives. The 2017 Subaru Outback in Springfield comes with a 175-horspower, 2.5-liter four-cylinder engine. The 3.6-liter engine that moves 3.6R models takes horsepower up quite a bit to 256. A continuously variable automatic transmission (CVT) is standard on all models. 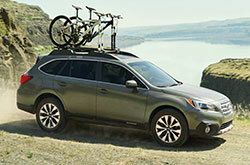 The five-passenger Outback is also able to achieve thrifty fuel economy, with EPA-estimated numbers coming in at 28 mpg combined. 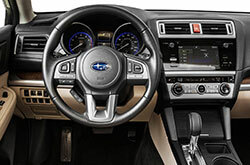 Subaru's Starlink Connected Services, which includes emergency assistance and automatic collision notification, are standard on Limited and Premium trims. All models get antilock brakes, active front head restraints, and stability and traction control. 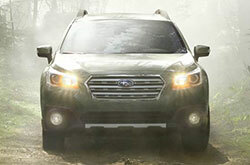 Test drive the latest incarnation of the Outback at Reliable Subrau today! If you live in the Springfield area and have been searching for a new car like the 2017 Chevrolet Equinox, Volkswagen Jetta SportWagen and the Volvo V60, we advise that you take a careful look at the 2017 Subaru Outback. 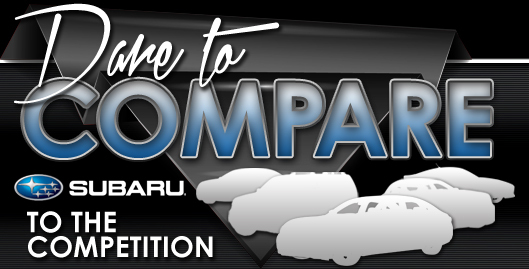 It could be a fine match for you, due to its great features and driver-focused persona. After using our 2017 Subaru Outback review and compare page, view new current financing offers online! 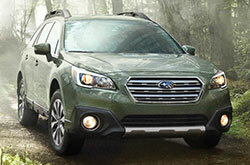 We're a local car dealer with many finance offers on new and CPO car models, including the Subaru Outback. Note the facts and figures that you found pertinent after reading our 2017 Subaru Outback review; those are the points that will shield you from making a purchase you regret. Uncover the brand-new Subaru Outback at Reliable Subaru, where you can enjoy a test drive and view the model for yourself. Watch the included video to see its interior features before you stop by!